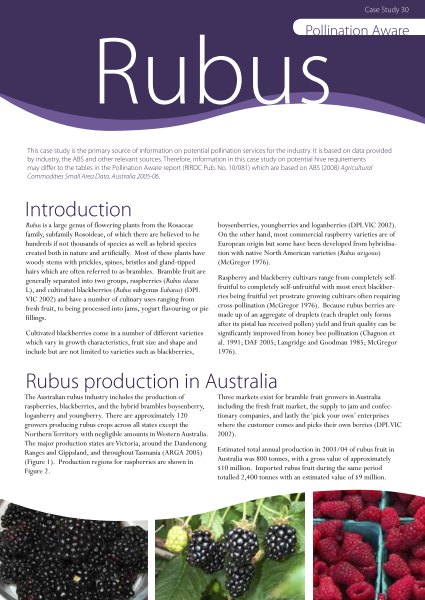 This case study is one of 35 presented as part of the Pollination Aware - The Real Value of Pollination in Australia (RIRDC Pub. No. 10/081) research project. The case studies provide analyses of the pollination process and its management in a range of pollination-responsive commodities produced in Australia. Each case study deals with a single pollination-responsive commodity or a small group of commodities that are either closely related genetically or that have much in common in the management of their pollination. The case studies also indicate, based on the best available information, the hive density required to achieve optimal pollination outcomes, assuming no contribution to pollination from other sources. 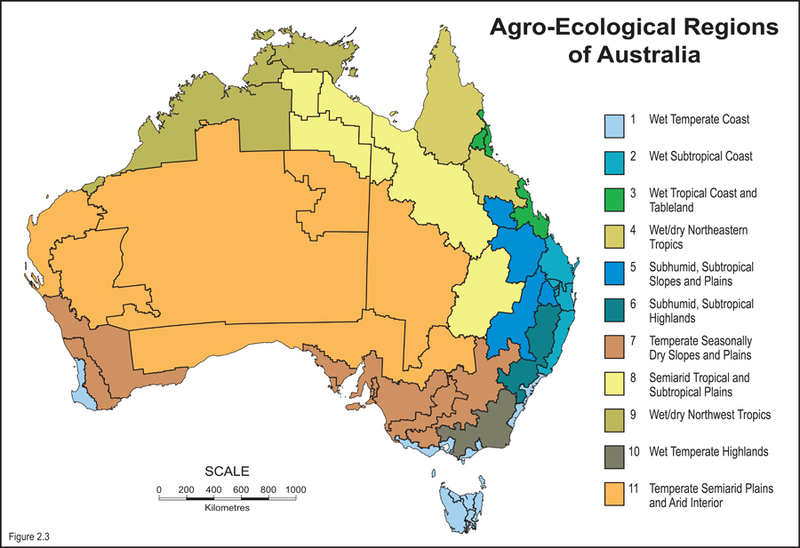 This information is then used as the basis for estimating the total pollination capacity that would be required to provide optimal pollination in the absence of any contribution from outside sources including feral honeybees, for the entirety of Australia’s pollination-responsive commodities (this information is summarised in Appendices 2 and 3 of the full report Pollination Aware - The Real Value of Pollination in Australia (RIRDC Pub. No. 10/081)).